I want to say at the onset I contacted Toyota on several occasions in an effort to get answers to my questions and to hear Toyota’s response on what you are about to read. Initially Toyota did respond and seemed eager to assist, but as more questions arose my requests for information went unanswered. For years I looked on as vehicle manufacturers published trailer weight ratings that seemed too good to be true. In many cases these tow ratings were too good to be true, when a particular vehicle could not safely tow the amount of weight it was supposedly tested and rated to tow. This is what is commonly referred to as “the towing wars.” In a nutshell vehicle manufacturers sell more vehicles if they can tout “best-in-class” tow rating for a particular vehicle during a particular model year. And in my opinion it is an ego thing; not to be outdone by competitors they up the ante and claim their truck can now tow more than the other guy’s truck. The towing wars continued for years and unfortunately the consumer was the loser. Folks based buying decisions on how much a manufacturer stated a vehicle could tow or haul, only to be disappointed afterwards. The problem, as I see it, was individual manufacturers developed and used their own methods to determine a vehicle’s towing capacity, but these tests and standards were not vetted. Manufacturers could say pretty much whatever they wanted and not be questioned. I watched this evolve into genuine safety concerns for consumers who purchased vehicles based on published tow capacities, with plans of towing a trailer. Something needed to be done! Interestingly several manufacturers must have acknowledged the problem too. Way back in the 90s the Society of Automotive Engineers (SAE) began working on standardized testing to use in determining trailer weight ratings. Ford, Dodge, GM and other truck manufacturers worked voluntarily on the committee tasked with developing a solution to the problem. It literally took years, but by 2010 it looked as though a solution was on the horizon. The voluntary standard, referred to as SAE J2807, was gaining momentum; making one believe manufacturers were on board with standardized testing for the 2011 model year. It turned out Toyota was the only manufacturer to use the new 2807 standard in 2011, and it would be several more years before others would follow suit. Note: SAE J2807 is basically a standard that can be used to determine a vehicle’s Gross Combined Weight Rating from which a Trailer Weight Rating can be assigned. The formula is simple; GCWR minus Loaded Vehicle Weight equals Trailer Weight Rating. If all manufacturers participate the consumer can compare vehicles (all measured against the same standard) and determine the best vehicle for their needs. The owner explained he purchased a new 2015 Toyota Highlander XLE front-wheel-drive vehicle, based on Toyota literature stating the vehicle had a 5,000 pound tow capacity. 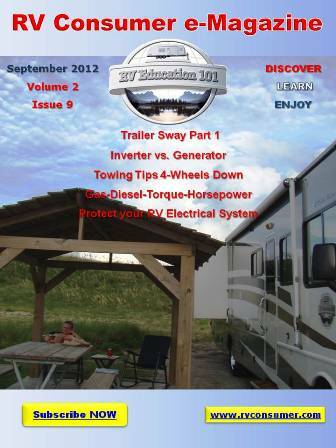 His plan was to tow a new Flagstaff 21DS Micro-Lite travel trailer that he special ordered. The trailer had a dry weight of 4,053 pounds and a hitch weight of 468 pounds. The 2015 Toyota Highlander in question had a 5,000 pound trailer weight rating and 500 pound tongue load rating. When the trailer arrived the owner had the vehicle prepped with a 7-pin connector, electric brakes, and a name brand weight distribution hitch and sway control. On his way home with the new vehicle and trailer he noticed something wasn’t right. His mileage dropped from 28 mpg to 8 mpg, and the engine RPMs were racing extremely high. He said while driving on a level highway the front tires lifted off the ground (it is a front-wheel-drive vehicle) and the tachometer raced to 7,000 RPMs. He also stated when they arrived home he parked the trailer and didn’t move it. A few weeks later a professional hitch representative from Blue Ox came to his home and readjusted the Blue Ox Sway Pro weight distributing hitch for the Highlander and trailer combination. They test drove the vehicle and trailer combination again. The engine RPMs were still revving high as they attempted to drive at 55 mph. The Blue Ox rep said at this rate the owners would need to camp locally and on flat land. The owner explained they were planning on towing the trailer from the east coast to the west coast. The hitch representative said they probably would not make it on that trip, and based on current conditions mountains and steep hills would burn the transmission or engine up. He recommended they buy a larger tow vehicle, but they could not afford to trade on a Tahoe or Yukon. The end result was selling the (brand new) trailer at a loss. 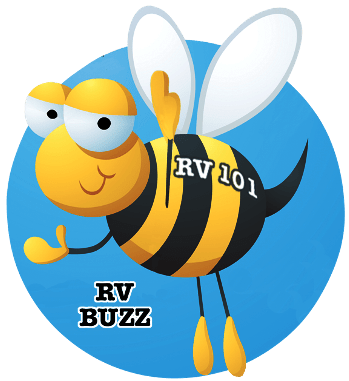 The RV dealer would not buy it back because it was a special order unit and was already titled. The vehicle owner told me Toyota claimed the Highlander tow rating was tested using the SAE J2807 towing standard. He researched J2807 on the internet and saw a list of standards a tow vehicle needs to achieve in order to gain a tow rating. There is one towing event that takes place where the vehicle is required to tow a trailer up a 3,500 foot steep grade, and he did not feel the Highlander could do it with a 5,000 pound trailer in tow. The owner asked Toyota for documentation of the results showing the J2807 testing did happen. He was refused any results except for a published brochure stating the Highlander has a 5,000 pound rating based on SAE J2807 testing. He said Toyota guaranteed him the Highlander did conform to the standards, but they do not share the details with the public. Did Toyota use an All-Wheel-Drive Highlander rather than a Front-Wheel-Drive for the J2807 testing? Why is the Highlander XLE pre-wired with a 4-pin connector (for 2,000 lbs.) rather than a 7-pin? If Toyota tested a Highlander XLE or Limited for a 5,000 pound rating did they rewire and install a 7-pin connector for the electric brakes? Was the Highlander XLE really tested using the SAE J2807 towing standard? Why is a 2016 Toyota 4-Runner, with a 4,800 pound rating wired with both a 4-pin and 7-pin connector, but a Highlander with a 5,000 pound rating is only wired with a 4-pin connector? These are all legitimate questions in my opinion. After researching a towing guide I discovered there were three tow ratings listed for a 2015 Toyota Highlander: 2000 pounds for a V-6 without a tow package, 3,500 pounds for a V-6 Hybrid model, and 5,000 pounds for a V-6 with a tow package. The Highlander with the 5,000 pound rating included a footnote with the letter “T” meaning a tow package is required for a 5,000 pound rating. Whenever there is a significant difference in tow ratings there is usually something in the footnotes to explain the difference. For example a vehicle might need a different transmission, axle ratio or larger engine to achieve a particular tow rating. After some research I discovered a Toyota Highlander XLE or Limited model rated to tow 5,000 pounds comes equipped with a towing package that includes a heavy duty radiator, 150 amp alternator, supplemental oil cooler and upgraded cooling fan. I was quite surprised to see a tow capacity increase of 3,000 pounds based on these upgrades alone. My initial thoughts were the owner purchased a front-wheel-drive Highlander model rated to tow 2,000 pounds rather than 5,000 pounds. The owner verified his 2015 Toyota Highlander XLE front-wheel-drive had a factory window sticker stating a 5,000 pound towing capacity, and it did in fact come equipped with the towing package. Now his questions held more validity. With this new information I was concerned there might be a real problem, and decided to dig a little deeper. The next day I located contact information for the National Manager of Toyota Product Communications and sent him an email. I explained who I was, and that I was working with an individual who purchased a new 2015 Toyota Highlander with a 5,000 pound trailer weight rating, with intentions of towing a trailer. I told him the owners had a bad towing experience and were seeking information regarding if the 2015 model Highlander used the SAE J2807 standard to determine the towing capacity. I asked if he could answer some questions I had. He responded, thanking me for reaching out to him. He asked about the vehicle owner by name, and said if this was the individual he already contacted him directly. He also confirmed in the email the Highlander was indeed tested under SAE J2807 standards in determining the 5,000 pound towing capacity for models equipped with V6 engines and the towing package. I told him it was the same owner, but that I had concerns too. I explained after looking into this further I had a few questions about the Toyota Highlander’s published tow capacities, if he didn’t mind. 1) Is there a reason the Highlander towing package does not include a 7-pin trailer plug wiring? A vehicle with this tow capacity requires electric brakes and should be equipped with the proper trailer plug. 2) There are several models of the Highlander available and I noticed the maximum trailer tongue load on these models ranged from 150 pounds to 500 pounds, but I did not see any upgrades in the suspension or tires in the towing package to account for the higher tongue load rating. It basically looks like the tongue load rating is simply 10 percent of the towing capacity assigned to the various models, is this correct? 3) I noticed in some Toyota literature the difference between the V6 equipped Highlanders with a 2,000 pound tow rating and the 5,000 pound tow rating is based on the vehicle being equipped with a towing package. From what I could see the towing package includes a HD radiator, engine oil cooler, upgraded cooling fan and a 150 amp alternator. Usually when there is a significant difference in tow capacities there are upgrades in other components like the engine, transmission, axles, brakes, tires etc. Is the difference in tow capacities based solely on the Highlander’s towing package? 4) I also noticed some Highlander models are front-wheel-drive and others use some type of all-wheel-drive configuration. Were both drive types tested by the J2807 standard and assigned the 5,000 pound rating? 5) Is there any way possible I could see the SAE J2807 results for the 2015 Highlander models? 6) I looked but could not find the 2015 Highlander Gross Combined Weight Ratings (GCWR) for the various models. Is this published somewhere on the Internet that you are aware of? I thanked him in advance for taking time to address my questions. Note: I think these are reasonable questions, deserving of answers. Initially the Toyota representative told me he was gathering information and would get back to me soon, but later stopped responding and acknowledging my requests. Toyota never answered any of my questions. I told the vehicle owner about my correspondence with Toyota and he confirmed he contacted the same individual too. He wrote to the National Manager of Toyota Product Communications in an effort to gain documented proof that a Highlander XLE front-wheel-drive model was tested using the J2807 towing standards. He said he did not receive any documented proof, only a reply stating they did do the testing. I wrote back to the rep explaining I was following-up to my initial request about the questions I had concerning the tow ratings assigned to the Toyota Highlander. I said I felt legitimate concerns were raised about the Highlander trailer weight rating, especially with the various models, and I would appreciate a response from Toyota. He responded thanking me for my patience and said he was still gathering information to respond to the questions, and would get back to me as soon as possible. Meanwhile the vehicle owner sent me an interesting email. He said he received a call from the Executive Analyst for Toyota’s CEO. She informed him that because he already sold the travel trailer it is impossible for Toyota to examine the set-up to see if they could have offered suggestions that may have improved the towability of the Highlander/trailer combination. She said she was sorry, but there was nothing Toyota could do to help them. My thoughts on this statement are, if Toyota was truly concerned it would be easy (not impossible) to replicate the vehicle/trailer combination. The vehicle owner told her that he knew through personal experience the Highlander could not pull a 4,053 pound empty trailer, using a Blue Ox Sway Pro weight distributing hitch, over a level highway without revving the RPMS very high and straining the engine. He explained that a professional hitch representative inspected the unit and said they should only camp locally and tow on flat ground because towing over mountains would most likely burn up the engine and/or transmission. He told her if the Highlander could safely tow 5,000 pounds they would not have sold the travel trailer and lost thousands of dollars on the deal. The owner asked if she could answer his original question; “Will you send me the documented results of the SAE J2807 testing on the Highlander XLE front-wheel-drive?” She said Toyota does not give that type of internal information to the public, but she reassured him Toyota would not risk their credibility as a company by advertising a 5,000 pound towing capacity if it did not pass the test. This was basically the end of the discussion. The vehicle owner asked if she actually saw the documented results of the test herself and she said no. He talked to her a while longer, restating their concerns about everything, especially safety. He asked if he should write the CEO, or contact the President of Toyota directly. Her response was; all such correspondence will come back through her office, so the answer will be the same. I wrote back to the Toyota National Manager explaining the owner was contacted by Toyota’s CEO Executive Analyst, (which I am sure he was already aware of) and that it did not resolve the issue at hand. I asked him to please explain why Toyota won’t release the SAE J2807 results and simply resolve the problem. I did not hear from him. I waited nearly two weeks and wrote again, asking if he was still planning to provide information from Toyota on this matter? I also asked if this was Toyota’s final response to the matter. I think I gave Toyota every opportunity to respond, and to answer what I feel are all legitimate questions. In my opinion it makes Toyota look as though they are concealing something by not responding to my requests for information, and eventually stop acknowledging me. Moving forward I had little choice but to draw my own conclusions regarding the advertised towing capacity of a Highlander XLE front-wheel-drive vehicle. If the vehicle was tested using the SAE J2807 towing standard and assigned a 5,000 pound tow rating why is Toyota hesitant to verify the test results and put an end to the question? If a company boasts “Toyota is the only manufacturer with SAE J2807 certified tow ratings for its entire pickup truck, SUV, XUV, and minivan line-up” why aren’t they transparent in proving it? And if a Toyota Highlander XLE front-wheel-drive vehicle was tested and rated to safely tow a 5,000 pound trailer with a 500 pound tongue load why couldn’t the vehicle tow a 4,053 pound trailer with 468 pound tongue weight using a weight distributing hitch on a level road surface? This brings me to the weight distribution hitch. When you have a properly set-up weight distributing hitch it distributes a portion of the trailer’s tongue weight to the axles on the tow vehicle and the axles on the travel trailer. If the front-wheel-drive Highlander is capable of safely towing a 5,000 pound trailer with 500 pound tongue weight the front wheels would not come off the ground towing a 4,053 pound travel trailer with 468 pounds of tongue weight; especially with a weight distributing hitch. And there is no reasonable explanation for the mileage to drop to 8 mpg with the engine revving to 7,000 RPMs if the vehicle was capable of safely towing 5,000 pounds. And the hitch set-up was personally inspected and adjusted by a Blue Ox representative. In reality if a trailer’s tongue load lowers the rear of a tow vehicle significantly you need a weight distributing hitch to safely and properly tow the trailer. When there is too much trailer tongue weight on the rear of the tow vehicle it directly affects the steering, handling and braking characteristics of the vehicle. I take issue with manufacturers stating you only need a weight distributing hitch if the trailer weight exceeds 5,000 pounds. An important factor in controlling trailer sway is the amount of tongue weight and how that weight is distributed to the axles on the tow vehicle and the trailer. A general rule is trailer tongue weight should be 10% to 15% of the fully loaded trailer weight, for trailer’s weighing over 2,000 pounds. The Toyota Highlander owner’s manual addresses the need for a sway control device on trailers exceeding 2,000 pounds. Where I get confused is the statement in the Highlander owner’s manual that implies, at least to me, a gross trailer weight under 5,000 pounds does not require a weight distributing hitch. Remember what I said a moment ago about too much tongue weight contributing to poor steering, handling and braking. This would be especially true on a front-wheel-drive vehicle. The bottom line is chances are very good that a vehicle rated to tow 5,000 pounds with a 500 pound tongue weight will indeed need a weight distributing hitch to safely tow a trailer approaching 2 ½ tons. The owner of the vehicle in question stated even with a Blue Ox Sway Pro hitch that incorporates weight distribution and sway control the front wheels (drive wheels in this situation) were nearly off the ground and the engine RPMs revved to 7,000 while towing a 4,053 pound trailer. The Highlander is a unibody constructed vehicle, meaning the frame and body is one integrated unit. I am not an engineer, and I do not profess to know how a weight distributing hitch affects a front-wheel-drive unibody constructed vehicle, but if Toyota tested the Highlander according to SAE J2807 and assigned a 5,000 pound rating the vehicle needs to be capable of safely towing a trailer with a weight distributing hitch. This brings to question whether Toyota used a weight distributing hitch during the J2807 testing they claim was completed on the Highlander models. My understanding is when you use a weight distributing hitch on a unibody constructed vehicle there could be issues, but in my opinion a 4,000 or 5,000 pound trailer should not be towed without one. Can a unibody constructed vehicle handle the stress and strain caused by distributing trailer tongue weight to the axles on the vehicle? Did Toyota use a weight distribution hitch during the alleged J2807 testing? If not, is it possible the front-wheel-drive Highlander model would lose traction with 468 pounds of tongue weight? I say yes! And if Toyota did use a weight distribution hitch for testing why does the Highlander owner’s manual state it is not needed unless the trailer exceeds 5,000 pounds? I strongly disagree with the section in his statement saying Toyota had no specific information regarding the events described, including the type and actual weight of the trailer, how it was attached to the vehicle, the payload, or the conditions/terrain driven. This information was readily available. Toyota never asked for any information and never answered any of my questions. “The vehicle, as equipped, has a 5,000-pound tow capacity. We have also confirmed your vehicle (as equipped) meets the standards set forth in SAE J2807. Unfortunately, we have no specific information regarding the events you described, including the type and actual weight of the trailer, how it was attached to the subject vehicle, the payload, the conditions/terrain driven, etc. As a consequence, we are unable to comment on your specific towing experience.” She referred the owner to Sections 4.1 and 9.1 of the Owner’s Manual. She closed by saying, “We have no reason to believe your vehicle will not tow the stated weight if the applicable requirements are met.” She thanked the owner and said that all further communications to Toyota Motor Sales, U.S.A., Inc., on this subject should be directed to herself. I find it interesting how similar her response to the owner was, to the response I received from the National Manager of Toyota Product Communications. What I also find interesting is the section in both responses that reads, “We have also confirmed your vehicle (as equipped) meets the standards set forth in SAE J2807.” Does the statement “meets the standard set forth in SAE J2807” mean the vehicle was actually tested according to the SAE J2807 standard? After the final response from Toyota I guess we are left to draw our own conclusions. I have two thoughts about this. Toyota should be transparent in offering proof the Toyota Highlander was in fact tested by the SAE J2807 standard and assigned the 5,000 pound tow capacity. Just saying it was does not cut it in my opinion. Locate a travel trailer close to the dry weight and tongue weight of the trailer in question and hitch it to a 2015 Highlander equipped the same as the Highlander in question. See how low it squats to determine the need for a weight distributing hitch, and then have somebody from Toyota take it for a ride down the road. The proof of the pudding, as the old saying goes. In other words if you really want to test something you need to experience it for yourself! I do not advocate pushing a vehicle’s towing capacity to the limit, but when a manufacturer tests and assigns a tow rating (in compliance with SAE J2807) to a vehicle it should be capable of safely towing that amount of weight, with no questions asked. The bottom line is this could be a safety issue for many vehicle owners. We asked Toyota to simply provide documentation, other than a sales brochure, showing the Highlander was tested and compliant with the SAE J2807 towing standard. In my opinion it does not reflect well on Toyota when they refuse to cooperate to a simple request, and to answer relative questions concerning this issue. Without a response to my questions I guess you need to be the judge on what the actual trailer weight rating of a Toyota Highlander is.